I recently had the opportunity to co-facilitate a Kansas City International Trade Council workshop focused on global expansion with Dianne Hofner Saphiere (via Skype from Mexico) and Janet Graham, who is currently a Baker University adjunct professor of International Business, Marketing, and Economics. We had a diverse group of business professionals, university professors, independent consultants and college students who actively participated in the workshop held at the beautiful Kauffman Foundation facilities. 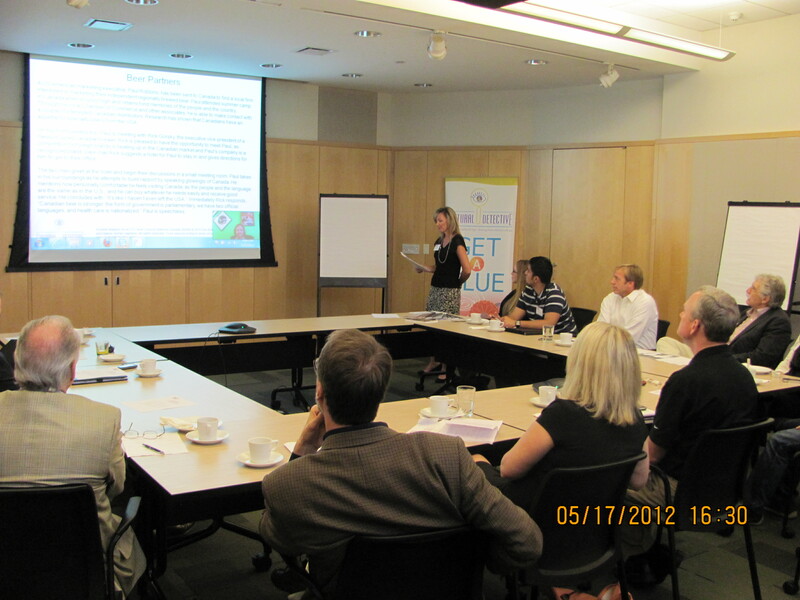 Janet Graham brought a wealth of knowledge, discussing the various entry strategies when considering expanding globally. Some key decisions organizations must make in order to form a clear market entry strategy that she referenced include: which market to enter, when to enter the market and on what scale, and which entry mode to use? Great questions to which she provided some resources (such as globaltrade.net, globalEDGE, and WorldoMeters) to help direct the decision-making process. She quoted a local business leader from Hill’s Pet Foods who said the countries in which they have been most successful they’ve had a dedicated local distributor who markets and sells their products – and the relationship is key! We then got to have fun bringing culture into the picture! 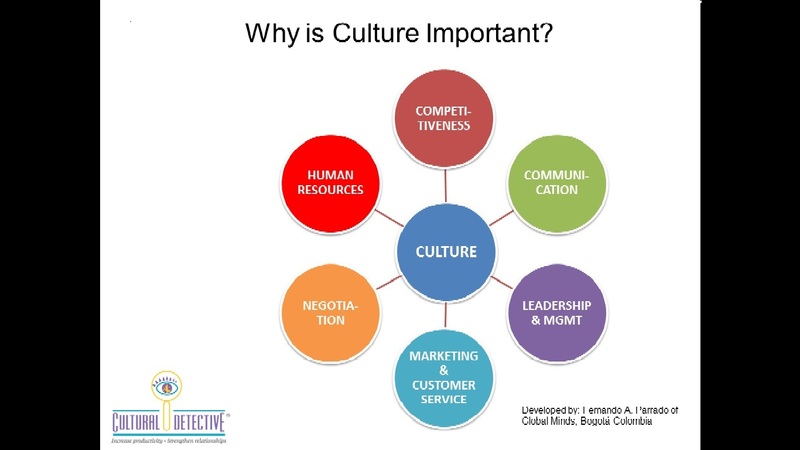 Dianne pointed out that culture touches all parts of the strategy – communication, negotiation, competitiveness – and will ultimately affect how successful your business can be at expanding globally. I had the opportunity to showcase the Cultural Detective Method with the group by working through a global expansion incident involving a local specialty beer manufacturer exporting to Canada. We ended with an activity that tied the learning together by incorporating Values Lenses into developing strategies for expansion. The workshop was quick and to the point but brought together some true experts in the field and real world application of the Cultural Detective tools to meet local business needs. The International Trade Council of Greater Kansas City was a gracious host and sponsor for the global expansion workshop – have you checked within your local community to partner with such organizations? It’s a great way to link the cross-cultural skill development to relevant community and business needs! As many of you may know, the Cultural Detective Team periodically facilitates online learning events which have been designed to help new users learn or seasoned users refresh their skills around working with the Cultural Detective Method and Values Lenses. I recently had a follow-up conversation with one of our new users, whose organization is getting ready to expand overseas to Australia. Because I often co-facilitate the online learning events, I always find it enlightening to speak with some of our new CD users and online participants to get their perspective and gauge our facilitation success by their understanding of how to work with the CD Method. It really energized me to hear this particular client’s feedback so I wanted to share! He said he was really excited by the multiple ways he realized his organization could use the CD Method for growth, in addition to his initial hope of using it to aid global expansion. Needless to say, as he continued to clarify his meaning: by discussing how CD is really an excellent business communications tool that can be incorporated into ongoing associate training regardless of cross-cultural work, and that CD provides a superb process for coaching as well — by the end of our call I was really grinning ! It always feels good when the messages we are trying to send make it effectively across the virtual training waves, but when they are taken to another level and creatively applied to the organizational needs, the time we spend educating is worth it’s weight in gold!